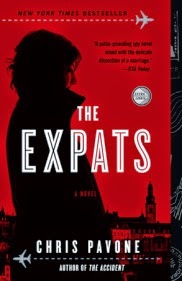 I just finished reading a terrific novel: The Expats by Chris Pavone. This spy - financial shenanigans novel has all kinds of twists and turns with CIA agents, FBI agents, married couples, all set in Luxembourg, Paris and other European locales. The book kept me hooked from the beginning to the end. Unlike many spy, suspense or mystery novels, I never really figured out the ending as I was reading the book and had to watch it unfold. I figured out that one couple was not who they pretended to be but the story of the lead couple (Kate and Dexter) kept evolving. "There are two salient quirks in “The Expats,” Chris Pavone’s novel about Americans abroad. The first is Luxembourg, a place about which Mr. Pavone can be sure most readers know very little. The second is well-calibrated monotony. This book’s abundant treacheries and tricks arise from the fact that its heroine, Kate Moore, is bored stiff. Kate has had to cut short her 15-year career because her husband, Dexter, received a lucrative job offer in Luxembourg, Europe’s only remaining sovereign grand duchy. “The Expats” is studded with odd facts about the country, because, by no coincidence whatsoever, Mr. Pavone and his family have lived there. The local color appears to come as a big surprise to Kate, who seems to have known nothing about Luxembourg until she had to leave Washington and move there. Kate was busy in Washington. As far as Dexter knew, she did something for the State Department. As far as Kate knew, Dexter did something involving computer technology. “The Expats” hinges on the idea that neither spouse knew what the other was up to. " This is not a long book, 326 pages or so and I read it fairly quickly. I recommend it if you like suspense type novels. I have another book by Chris Pavone to read. I will start on that one soon. Last Thursday, the Lovely Sharon and I drove to Monticello, Utah a town of less than 2,000 souls located in southeastern Utah not far from the Colorado border. The purpose of our trip was to play “The Hideout Golf Club”. We arrived late afternoon on Thursday, the day before our Friday tee time at The Hideout. The City of Monticello was named after Thomas Jefferson’s estate in Virginia. 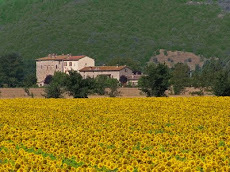 However, the Utah Monticello is pronounced “monti – sello” while Jefferson’s estate is pronounced “monti-chello”. You would think if we Utahans stole the name from somewhere else, we would at least pronounce it the same. But no, we do our own thing here. We pronounce creek as “crick” not “creek”. 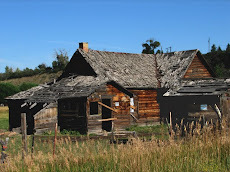 The Monticello area was settled in July 1887 by pioneers from Mormon Church. Monticello became the San Juan county seat in 1895 and was incorporated as a city in 1910. Monticello is located at 6,800 feet elevation at the base of the Abajo Mountains (also called “Blue Mountain”) on the Colorado Plateau. Monticello is a small but beautiful town. 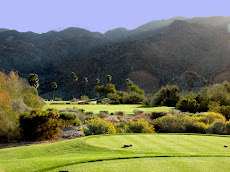 I have wanted to play The Hideout Course for 5 or 6 years but it never fit into our schedule. I first learned the golf course from friends Denny and Carma and Norm and Terri. They have traveled to the area together and Denny and Carma have been there several times. 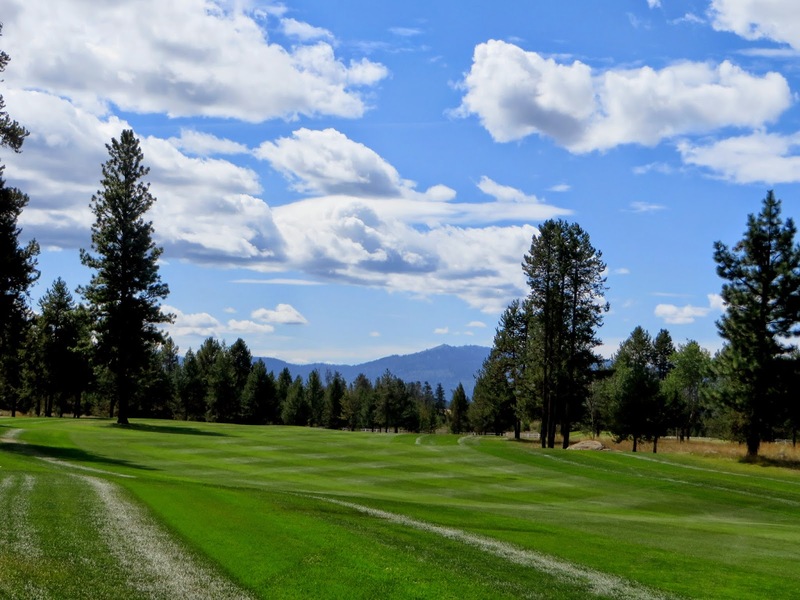 The golf course was opened in 2002 in connection a federal government major reclamation project involving the former site of a uranium mine and mill, dismantled in the 1960s by the United States Department of Energy. The only directive of the Department was that the reclaimed land be vegetated and protected from erosion, and a golf course fit that bill. 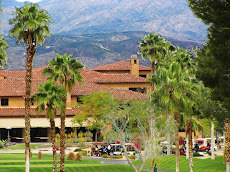 The Hideout Golf Club occupies land across from the former mill, with the work to build the course involving restoration of the old mill site land into a natural, open space park. 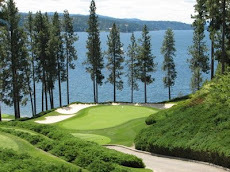 In 2010, Golfweek magazine ranked the course as number 24 in the nation for municipal golf courses. I loved the golf course. It was absolutely beautiful and great fun to play. I hope I can get back to Monticello in the future for another round of golf. 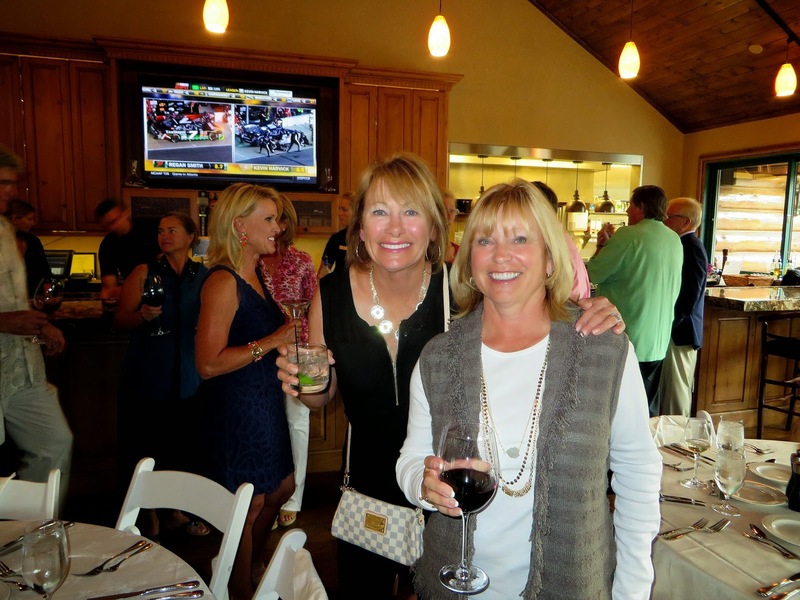 After our Friday round of golf, the Lovely Sharon and I headed to Dove Creek, Colorado, up to Telluride, then Montrose and finally into Grand Junction Colorado. 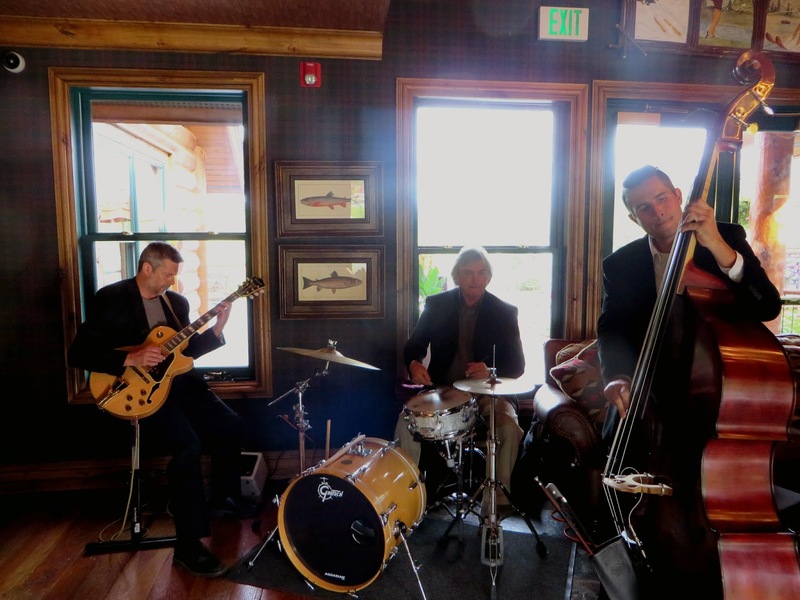 We spent Friday and Saturday nights in Grand Junction and played the Redlands Mesa golf course Saturday morning. We had a wonderful weekend adventure. In September 1940, the Spanish Civil War is over and Madrid lies in ruins while the Germans continue their march through Europe. Britain stands alone as General Franco considers whether to abandon neutrality and enter the war. Into this uncertain world comes Harry Brett, a privileged young man who was recently traumatized by his experience in Dunkirk and is now a reluctant spy for the British Secret Service. Sent to gain the confidence of Sandy Forsyth, an old school friend turned shadowy Madrid businessman, Brett finds himself involved in a dangerous game and surrounded by memories. Meanwhile, Sandy’s girlfriend, ex-Red Cross nurse Barbara Clare, is engaged in a secret mission of her own—to find her former lover Bernie Piper, whose passion for the Communist cause led him into the International Brigades and who vanished on the bloody battlefields of the Jarama. In a vivid and haunting depiction of wartime Spain, Winter in Madrid is an intimate and riveting tale that offers a remarkable sense of history unfolding and the profound impact of impossible choices. In addition to being a good spy novel, the book is full of history - the Spanish Civil War, Franco's rise to power and the Nazi's in Spain. If you are interested in history, spies this maybe the book for you. It was a fun evening, a fun tournament and a fun trip.. I can't wait for next year. 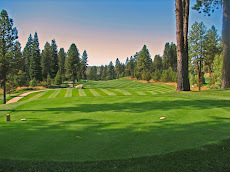 The Whitetail Club is a terrific golf course. 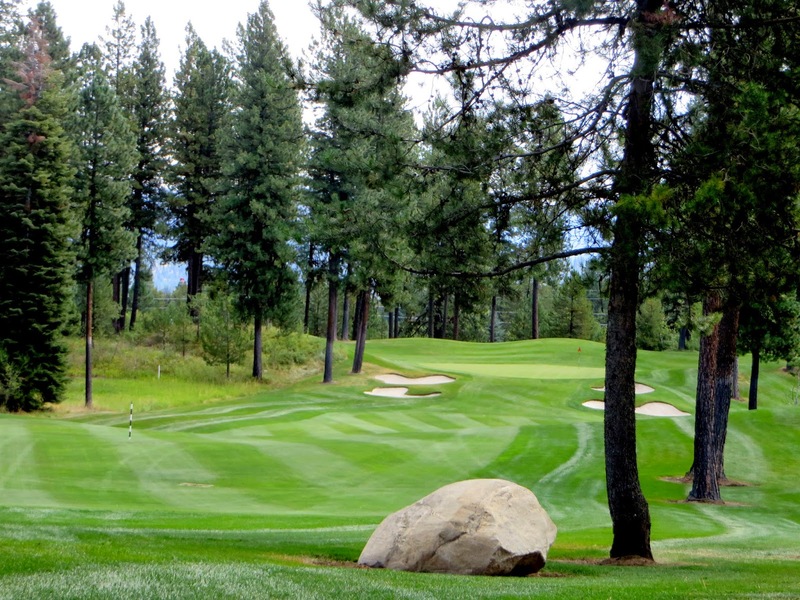 You should put it on your golf course bucket list. On Thursday morning we left Tamarack and headed to McCall. We checked into the Shore Lodge and then played golf. Payette Lake is a 5,330 acre expanse of clean, glacial water at an elevation of about 5,000 feet in the forests of Idaho. Over 10,000 years ago Payette Lake was carved out by a glacier 1,000 ft high, 2.5 miles wide and 8 miles long. 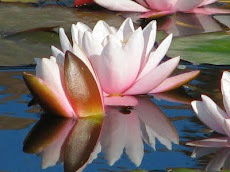 At its deepest point the lake is 392 ft deep. 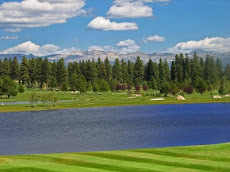 Payette Lake offers excellent boating and several sandy beaches all with the backdrop of spectacular mountain scenery. Locals and tourists alike enjoy playing on the lake and there are several events held each year. The Payette Cup Regatta is usually held during the first weekend of June. 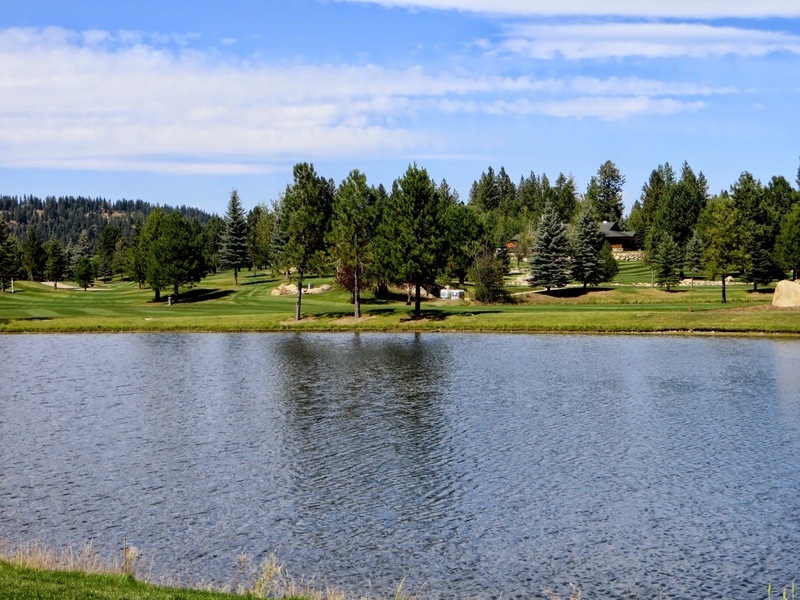 Half of the lake is protected as part of Ponderosa State Park which offers over 1000 acres of natural wilderness, camp sites, hiking trails and unspoiled beauty on the peninsula jutting out into the center of Payette Lake. During our stay this year at the Shore Lodge, it was packed. Lots of people, a wedding and all in all a lovely three nights. 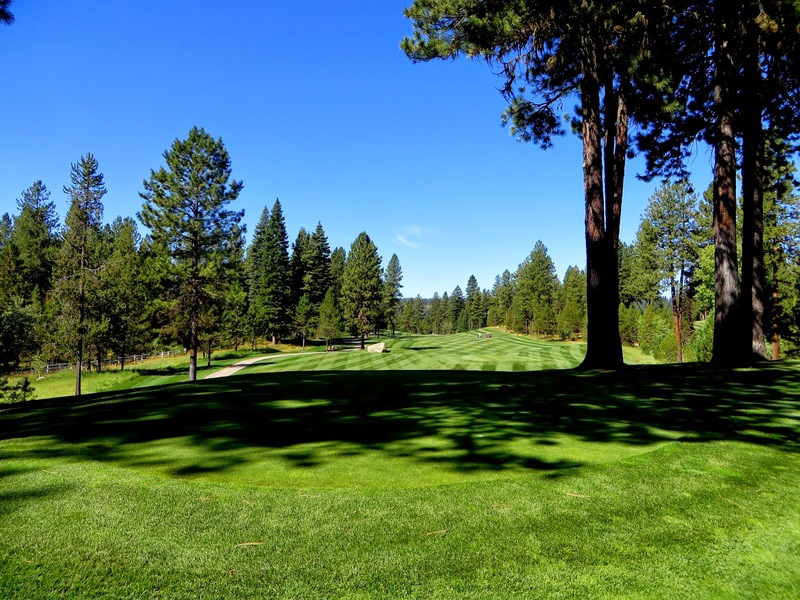 During the last week of August and the Labor Day Weekend, the Lovely Sharon and I traveled up to McCall, Idaho for the annual Payette Cup Golf Tournament at the Whitetail Club golf course. 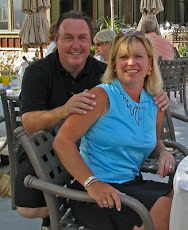 This was the 10th year of the tournament and it was the 8th time that the Lovely Sharon and I had participated. We played in the first 6 tournaments, missed the 7th and 8th tournaments and then played in the 9th and 10th tournaments. 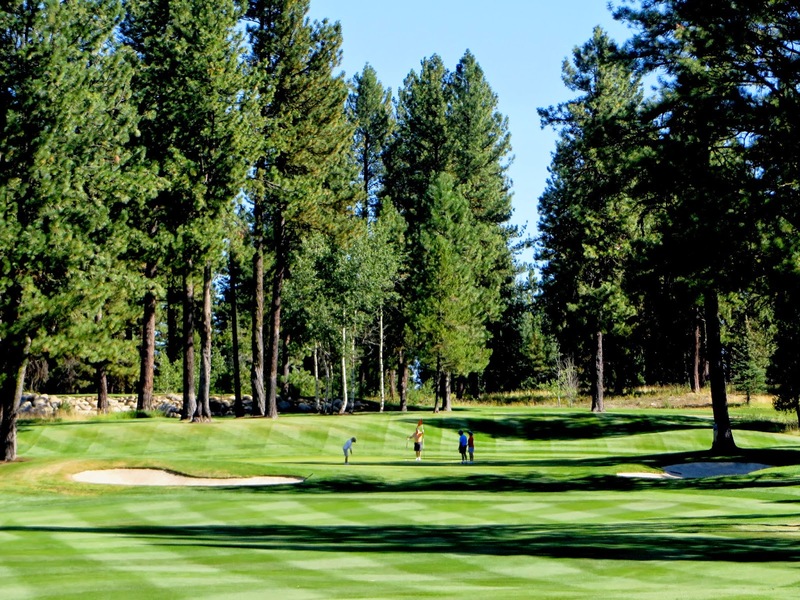 Our trips to McCall are always great fun, we renew old acquaintances, meet new friends, play golf on a great golf course and stay at the beautify Shore Lodge on the shore of Payette Lake. I have written about our McCall trips before but here I ago again. This year we drove from Salt Lake City to Boise on Tuesday, August 26th, checked into the Hilton Garden Inn in Eagle, Idaho a suburb of Boise. 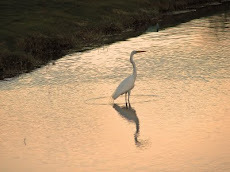 We went for an walk on the paved trailed running alongside of the Boise River, and then had dinner at Bella Aquila, a terrific restaurant on the Banks of the Boise River. 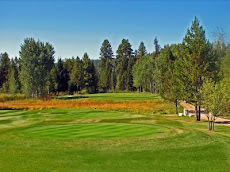 On Wednesday we drove to the Tamarack Resort, played golf on the Osprey Meadows Course and stayed at the Tamarack Lodge. Photos from Tamarack are set forth below. 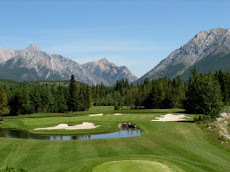 In my next two blog entries I will post some photos of (i) the Whitetail Course and the Shore Lodge, and (ii) the final party for the tournament. The Lovely Sharon after a tee shot through the trees. 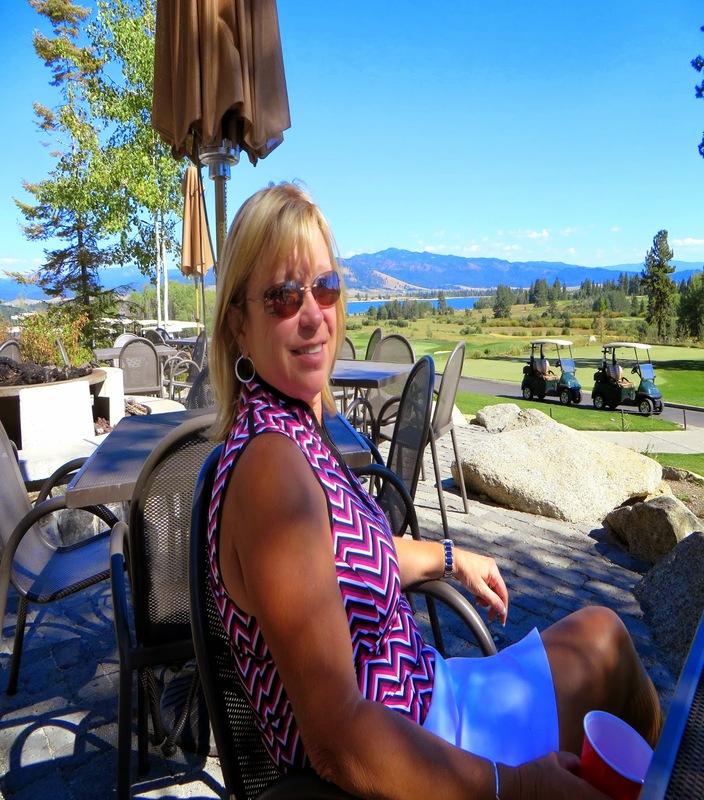 The Lovely Sharon enjoying the view after the round - she had three birdies and missed two birdie putts she should have made. She played great, I think she shot 75 or 76. 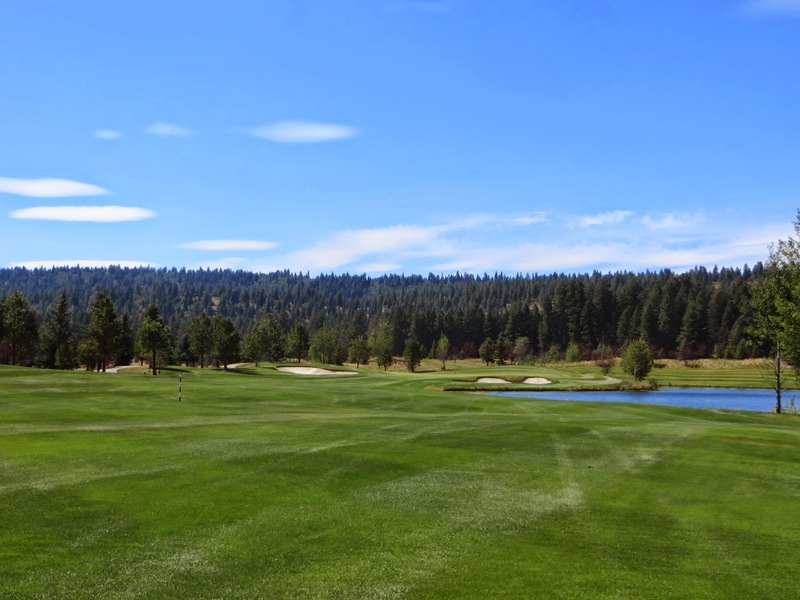 If you get a chance to play the Osprey Meadows course, you should play it. It is a good Robert Trent Jones, II designed course. The Lovely Sharon and I have played now played it twice.